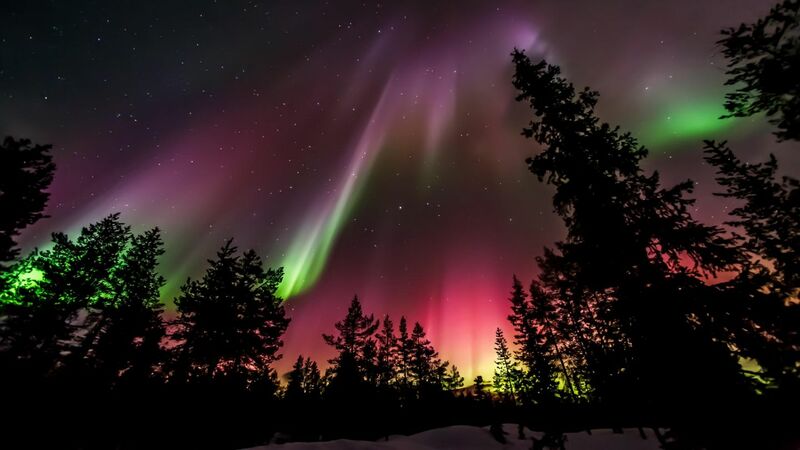 The Northern Lights, dancing across the Arctic sky in hues of green, purple and red, are an unforgettable sight. This gracefully moving display of colors appears to move so close that you can almost touch it. And if you’re completely quiet, you may hear the faint crackling of the Northern Lights in the freezing night. According to an old Finnish Lapland belief, the Northern Lights, also known as aurora borealis, are created when a fox runs across the fells while whipping its tail against the snow, sending sparks up into the night sky. Many a myth has arisen from this fascinating spectacle of lights. For example, there is a belief in Japan and China that seeing the aurora borealis improves one’s fertility. Would you float in ice-cold water for the northern lights? Northern lights floating is a unique and fun way to experience the northern lights. You’re surrounded by peace and quiet and the gentle softness of water under the glowing display of northern lights in the sky. The warming flotation suits will make sure that you don’t feel cold. Northern lights floating is arranged in Rovaniemi, the capital of Finnish Lapland, by Safartica. Lying on a soft reindeer hide under a colourful display of northern lights – sound like a thing for you? In a glass igloo, you can watch the northern lights comfortably indoors, on a bed. 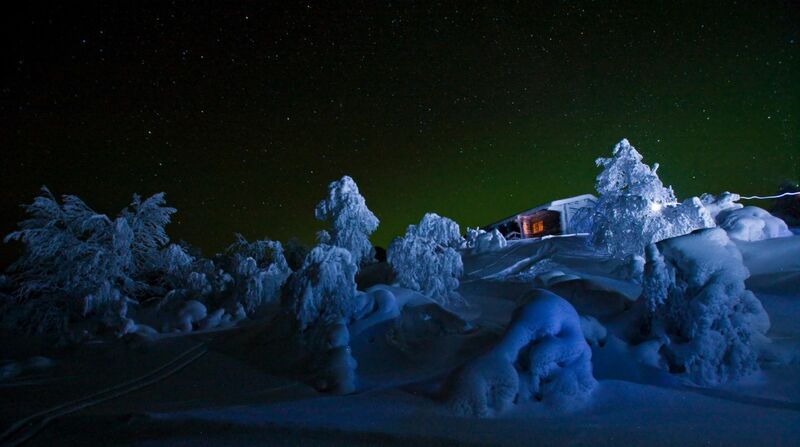 There are glass igloos and accommodation designed for watching the northern lights all over Lapland. 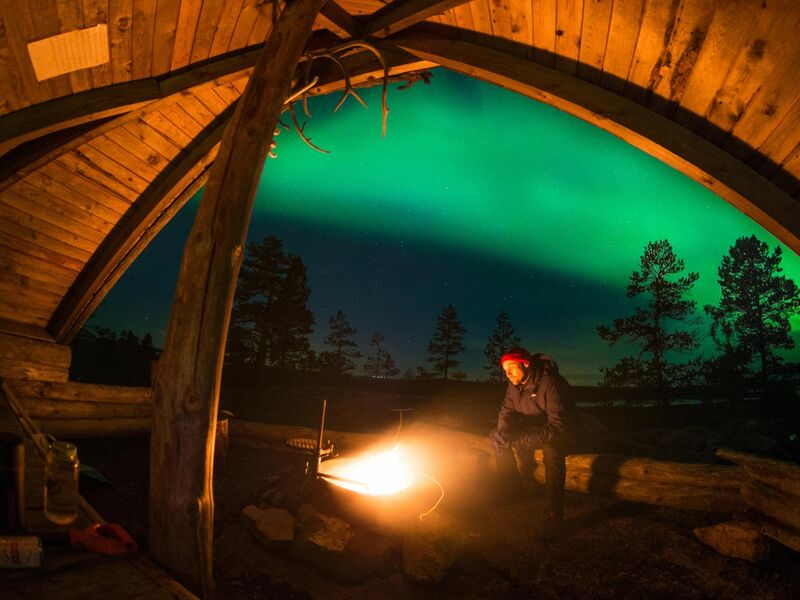 Locations such as the Aurora Bubble in Nellim and the glass igloos of Luosto guarantee a comfortable setting for watching the northern lights. The lights are so captivating you’ll find it hard to go to sleep. Sitting by a fire, sipping hot cocoa out of a guksi and sleeping outdoors are part of every Laplander’s nature experience. 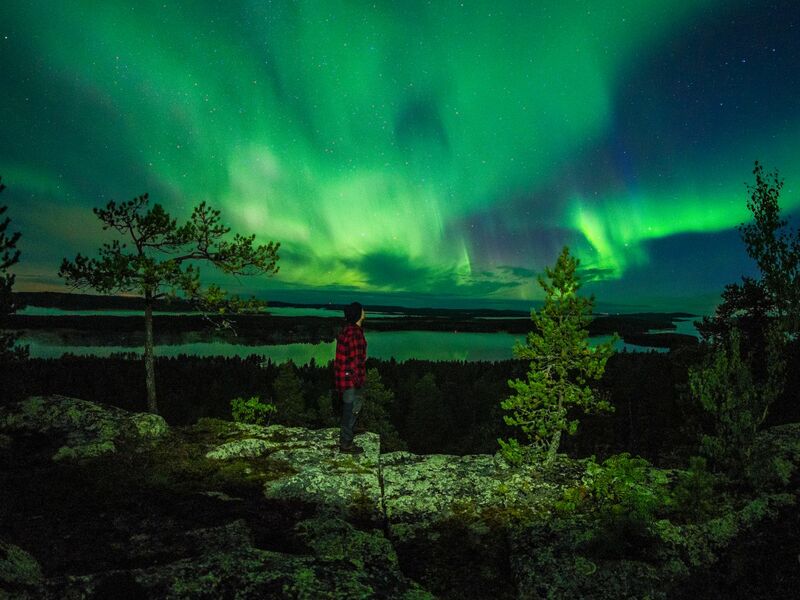 Far away from the lights of the city, in the dark night of Lapland, the northern lights are at their brightest. Sit quietly and enjoy the embrace of the northern lights. Become a part of nature. Camping independently is challenging in the winter conditions, which is why you should turn to the locals for advice. Teepee accommodation is provided by Luxury Action, who specialise in luxurious wilderness expeditions. Being transported by animals in the forest is an ecological way to get to enjoy the northern lights. Snow will blow under the sleigh while the scenery changes as reindeer and huskies take you across the wilderness. You’ll be closer to nature when you’re not surrounded by the noise of vehicle engines, so feel the winter on your face and let the cold air gently bite you on the cheek. 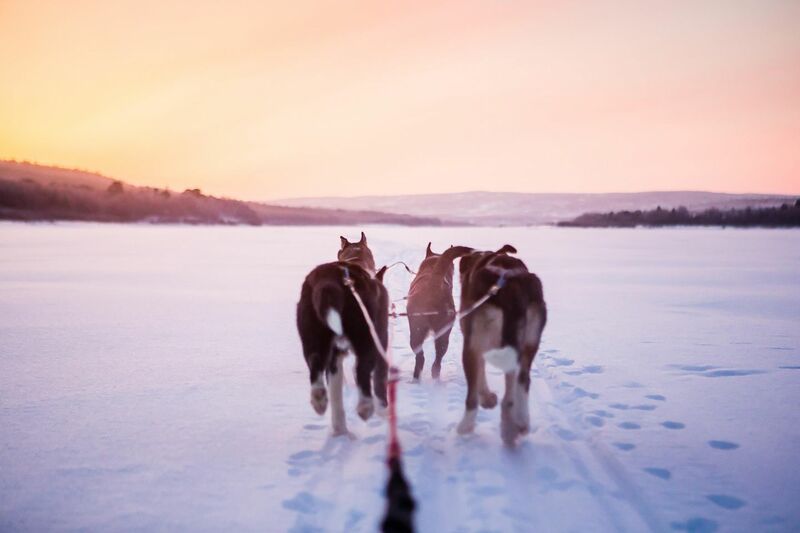 Husky and reindeer sleigh rides are arranged all over Lapland. The frosty snow crunches under your shoes as you delve deeper into a Lappish forest. The thick snow is not an obstacle when you wear snow shoes. The silence of the forest can be almost intimidating, but the darkness is ideal for observing the northern lights crackling in the night sky. Breathe in the fresh, cold air and enjoy the light show. You can proceed at your own pace and stop as many times as you want. Don’t forget to bring food! Snow shoes are lent and rented by hotels and safari businesses. This is as close as you can get to the northern lights. On a northern lights flight, you get to marvel at the lights dancing in the sky up close from an entirely new point of view. 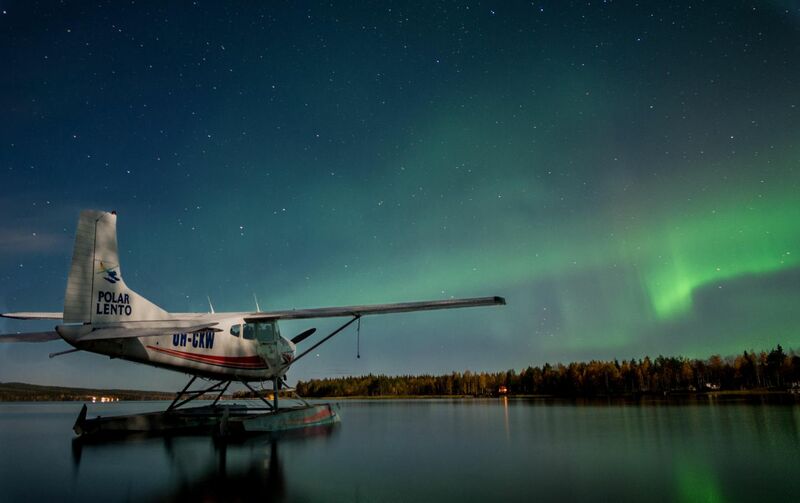 Flying enables you to see the northern lights even on overcast nights. 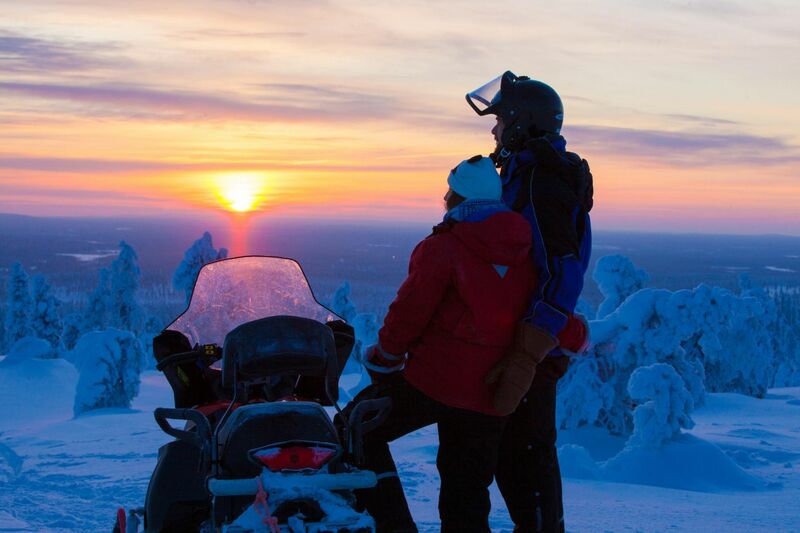 You can get on a northern lights flight above the clouds in Rovaniemi with Wild Nordic. If you’re looking for action and speed, jump on a snowmobile. 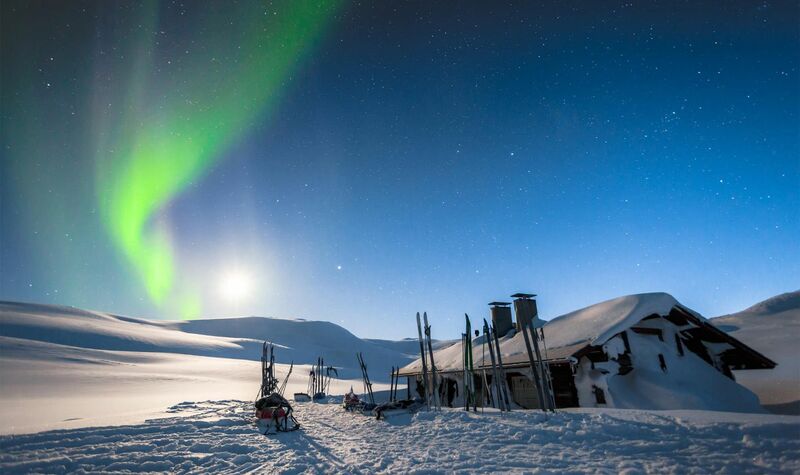 The snowmobile will take you quickly away from the lights of the city to see the northern lights. In winter, the snowmobile is a popular ride in Lapland, also used for work by reindeer herders travelling after free range reindeer. Snowmobile rental companies will provide you with all the necessary equipment from a helmet to a warm driving suit, allowing you to focus on the thrill of speed. For photography enthusiasts, the northern lights provide a unique learning experience. Hunting for the fire-tailed foxes in the sky is not an easy task, but it can be done with good tips – and patience. Equip your backpack with a tripod and a camera capable of slow shutter speeds. Remember to dress warmly as well! If you’re not sure about going on a northern lights expedition on your own or if you need photography tips from a professional, you can take part in a northern lights photography expedition arranged in Lapland by businesses such as Beyond Arctic.